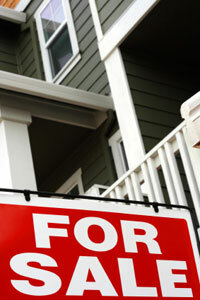 Selling or buying a home is the largest transaction most of us ever become involved in. Yet people sometimes take less time over it than they do when buying a new car. That’s because it’s unfamiliar territory to many of us. We don’t all understand the process. We don’t know what questions to ask. We may take things for granted, rely on others when we shouldn’t, and sometimes we later wish we had known more about the process involved. The Real Estate Council feels it is important that you understand the procedures and documents you will encounter during the sale of your home, as well as the role of other people who may be involved in the transaction. Selling a home is a major event. This information is designed to help you to better understand the process. The Real Estate Council of British Columbia protects the public interest by assuring the competency of real estate licensees and ensuring their compliance with the Real Estate Services Act. The Council is accountable to and advises government on industry issues and encourages public confidence by impartially setting and enforcing standards of conduct, education, competency, and licensing for real estate licensees in the province. Although the Real Estate Council of British Columbia believes that the information below is reliable, this cannot be assured. The Real Estate Council assumes no liability for any errors in the material or any reliance placed therein. Professional advisors should be consulted before acting upon the information contained herein.